You have to eat gluten free (due to Celiac or a gluten intolerance) and you're invited over for dinner at a new friend's house. You'd love to accept, but you hate being high maintenance. You know the person may have no clue a.) what gluten is, and b.) how to make a meal that's safe for you to eat. It's the predicament I've found myself in, so I've come up with this basic list that will help them when thinking about what to prepare. It is by no means exhaustive, but it's a great place to start for people who have no idea what gluten is or how to avoid it. If you find yourself in the same predicament, feel free to copy and paste this list into an email! It's also really helpful to offer to bring something. There are only three things I cannot eat: wheat, barley, and rye. Unfortunately, there are LOTS of foods with these ingredients: any breaded/floured meat or vegetables, soy sauce (which contains wheat), bread, muffins, pasta, cake. There are some things that are "maybe" foods: soups and sauces. Sometimes wheat has been used to thicken them, which makes them risky if they aren't homemade. Really, the simpler the better. A roasted chicken with herbs, vegetables, and mashed potatoes would always be safe. Salads (without croutons) are great. All of that is naturally gluten free. If there are questions about specific ingredients, it's safest to look on the food label and near the bottom of the ingredient list, you should be able to see "contains wheat" if it does. 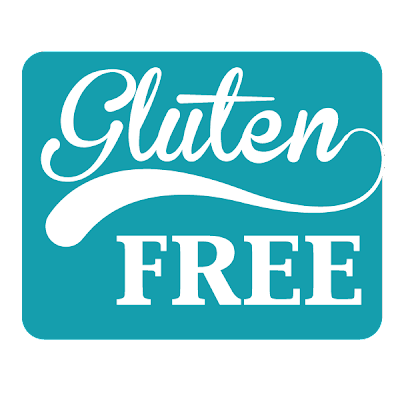 It doesn't have to say "gluten free" on the label to be gluten free - lots of foods are naturally gluten free and aren't labelled as such. Thank you again for accommodating me! You are a blessing. This is so sweet and helpful. So many of us want our friends with dietary restrictions to feel comfortable and welcome in our homes, but are often overwhelmed by not knowing what is safe/not safe to prepare for them! The small group we just moved away from had one friend with CD, one friend with a severe peanut allergy, one friend who was dairy-free, and another who was allergic to nuts and tropical fruit. As challenging as it was to pull together a potluck for the whole group, we usually did pretty well. It's been two months since we've seen all of them...what I wouldn't give to be all together again for one of those crazy meals! I'm sure you're feeling the same and missing familiar homes and the friends you've spent so many meals with. May God bless you and Shawn in your new church home with many, many friends! This is so helpful, as I have a good friend who has celiac's disease. I am always trying to make her feel welcome at bible study by providing food that she is able to eat too. Can you talk about cross contamination? How do I ensure that I do not inadvertently make her sick by things present in my kitchen? Thanks for your help! Yes! Just the fact that you're concerned about cross contamination is huge and such a blessing for your friend. I also have celiac and am definitely sensitive to any traces of gluten, but from what I've read, even the most sensitive person has to consume 1/4 teaspoon of gluten to become sick. (That's not to say you want to risk it, but common sense goes a long way.) Using separate utensils and cooking surfaces is really key, and will make her feel a lot more at ease. As long as you're not baking bread and have flour all over the counter at the same time you're preparing her food... or not using the same utensils and pots and pans for gluten things that you are for your gluten-free foods, you really should be ok. You can't get sick by inhaling it or any other way, so as long as the gluten free food is prepared away from any flour, crumbs, etc., it really should be fine. Does that help I hope? Whitney, THANK YOU!!! I have Celiac Disease and my husband just accepted a ministry position at a church across the country. We are settling into a new territory and we also have a whole lot of loving new church family members that are going to want to make us meals. This is so helpful! I also hate having to brief everyone who cooks me food. I do feel so high-maintenance every time. We have so much in common! Prayers for you in this new season. I agree! This is such a sweet and helpful way to let people know what to do when we're coming for dinner. My husband and I are headed to the States next week where we'll be staying for six months on sabbatical/home assignment, visiting many people and churches. The timing of your sweet note/explanation is perfect for me as I was just wondering how I could kindly let people know what to do for me. Thank you! That's exciting! I always find people are totally willing to accommodate, they're just afraid they'll make me sick. But with a simple list like this (hopefully!) it's much less overwhelming. Hope you have a wonderful and safe trip over! Thank you!! This is a very simple and helpful way to help people not feel so overwhelmed or burdened. My husband and I will be visiting the states over Thanksgiving. He has never been to the states but is gluten free and lactose. This is great timing for helping my family who is hosting us. Do you have any suggestions for gluten free thanksgiving desserts? ALSO, Pillsbury just came out with some gluten free doughs that can be found at most any grocery stores now. There's a pie and pastry dough (here: http://www.pillsbury.com/products/gluten-free/pie-and-pastry-dough) that's also dairy free that looks wonderful! That way you could make an apple pie, pecan pie, just about anything you'd normally make at Thanksgiving. For dairy free, I like Earth Balance in place of butter, almond milk in place of cow's milk, and Daiya brand dairy-free cheese in place of cheese (for pizzas and quesadillas). Thank you so much for sharing this! My husband and I struggle with this as well (we are strict vegan), as we never want to be rude or cause burden on others when we're invited over. Personally, I am quite sensitive to this as I have friends who have CD as well. I struggle with yeast, so gluten-free may be the answer for me. Do you think this way of cooking/eating helps prevent weight gain? I'd love to be your size!